You have probably looked at someone before and noticed how beautiful his or her smile is. You may have briefly wondered if the person had braces or Invisalign in order to create that smile; but most likely, you thought about that gorgeous grin and wished you had one like it. What makes a smile attractive? Is it perfection, or is it some other quality? 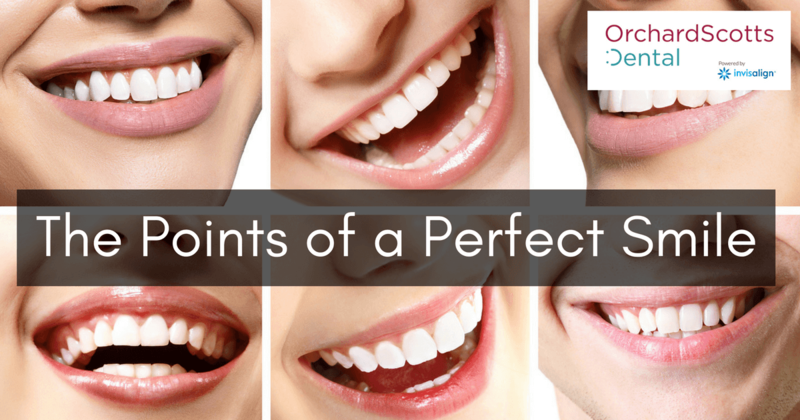 Dentists and orthodontists differ somewhat on the particular points of an ideal smile, but most agree that the smile doesn’t have to be perfect to be beautiful. Discover what criteria are most important if you want people to notice and appreciate your smile. Teeth whitening is a point of interest for many people who are dissatisfied with their smiles. However, a smile can actually be too white. Teeth can be so white that they are shocking to the viewer; they can look fake and odd. You have probably seen actors, celebrities, or TV personalities whose teeth were so blindingly white that you barely noticed what they were saying. That may not be a look you want. Instead, consult with your Singapore dentist at Orchard Scotts Dental to find just the right shade of white for your teeth. You want something that improves the evenness of the colour and boosts the brilliance of your smile, but in a more subtle, natural way. That way, people won’t be distracted by an overly white or fake-looking smile. Instead, they will simply appreciate the healthy colour of your teeth. Do teeth have to be perfectly straight in order to look good? Your dentist at Orchard Scotts Dental will tell you that teeth need to look natural within the frame of your face and lips. What looks amazing on your neighbour, your coworker, or a local celebrity in Singapore might not work for your facial structure and your features. As an expert in the art of dentistry, your Singapore dentist will use Invisalign technology to craft a smile that is uniquely yours, with a natural, beautiful look that is perfection for you. Perhaps you wish that your teeth would shine or glow like those of actors you’ve seen. According to dentists in Singapore and elsewhere, you can help that shine along with regular cleanings at your dentist’s office, as well as a good electric toothbrush. Some types of toothpaste incorporate antioxidants that reduce gum inflammation, giving you healthy pink gums as the perfect counterbalance to your white teeth. You can also purchase tooth gloss to smooth over matte teeth to give them that coveted shiny look. As a bonus, tooth gloss often includes breath-freshening and cavity-fighting capabilities as well. If you’re interested in teeth whitening services, porcelain veneers, cleanings, or Invisalign treatments, contact the team at Orchard Scotts Dental. Our experienced dentists will be happy to evaluate your oral health and your smile and provide you with a treatment plan that benefits your health and improves your smile. Call today to start your life-changing smile makeover.